Watch The Incident Which Led Gasly To Call Magnussen "The Most Dangerous Guy"
Whilst all the chaos of the second safety car restart was happening at the front, further back something else was happening which caused Gasly to brand Magnussen “the most dangerous” driver he has ever raced against. If that sounds like a dramatic overstatement then check out the footage, because it’s pretty hair-raising stuff. Magnussen was hit with an inconsequential 10-second time penalty and also received two penalty points on his licence. His excuse was that “intense vibrations” on his Haas from an earlier altercation made it hard to see clearly out of his mirrors. 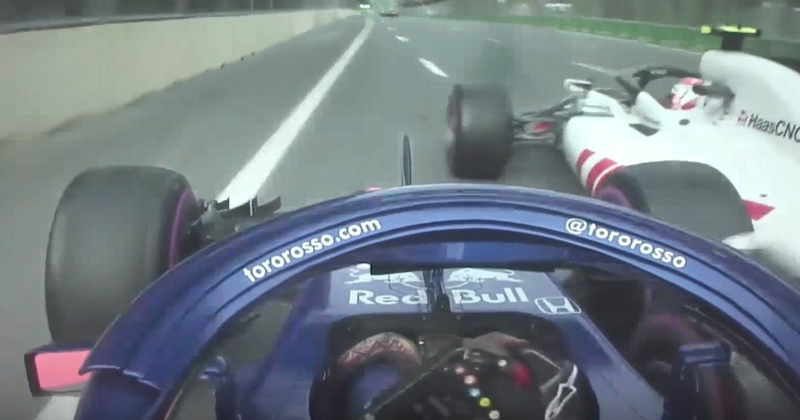 Whilst Magnussen’s ride certainly looks rather bumpy, it’s not hard to see why Gasly was so furious given what could have happened. Was Magnussen’s penalty too lenient or too strict? Let us know what you think.